Before installing your OS, you must create a virtual disk volume on the target disk. See Creating a Virtual Disk. While configuring an operating system for a networked server, it is necessary to provide the logical names (assigned by the OS) and the physical name (MAC address) of each network interface. See Identifying Logical and Physical Network Interface Names for Linux OS Configuration for details. If not done already, insert your Linux distribution DVD or access the ISO image distribution media for the method you chose in step 1. Power on or reset the server. 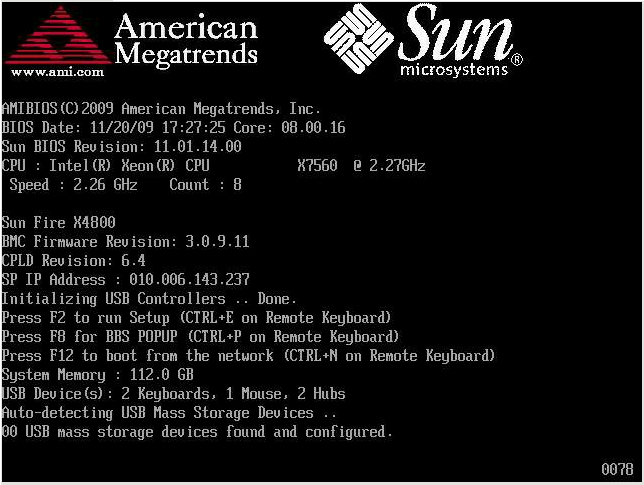 BIOS messages appear on the console. When you see a message offering a series of selections, press F8. After a delay, a menu offers a selection of boot devices (see the following example). 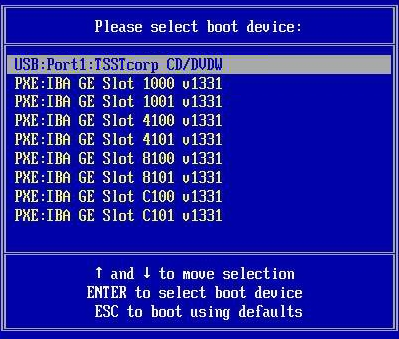 Select a boot device from the list. To boot from a physical CD/DVD or from an ISO image, select CD/DVD. Control passes to the OS installation program on the media. For text mode, type the following command: boot: linux text. For graphical mode, press Enter at the boot prompt. Note - If you already have an operating system besides Linux installed (for example, the Oracle Solaris OS), it will appear as a partition during the installation process. If you choose to install Oracle Linux on that partition, it will overwrite the OS. If you wish to preserve the partition, you must install Oracle Linux on a different partition.